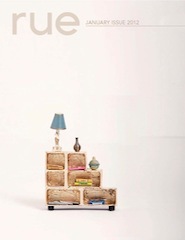 Plush Palate: So trendy! Or so over it? So trendy! 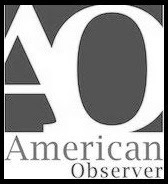 Or so over it? 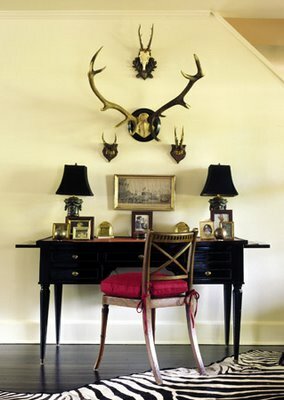 I can't help but notice all the antlers I'm still seeing around as a trendy statement piece for the home. But what do you really think about them? Do you love the trend or would you love to see it go away? 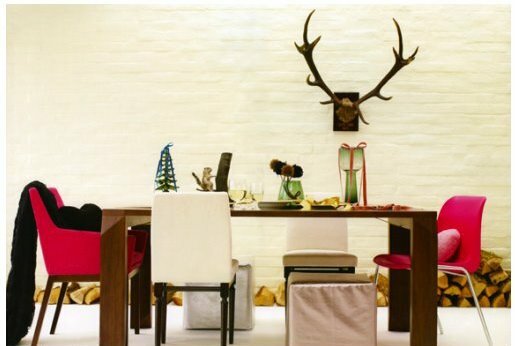 Regardless of how I feel about antlers, I do like the placement of them in this dining room. And those hot pink and mismatched chairs are wonderful! 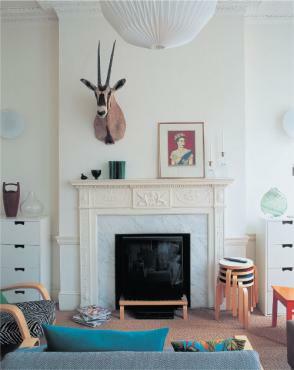 While I love the idea of clustering, the animal heads and the zebra rug are a bit much for my personal taste. The wide plank floors or stunning, the creamy grey walls are enveloping, but the white head..? On a different note, this room does a fabulous job at mixing different patterns and colors without looking chaotic or disjointed. 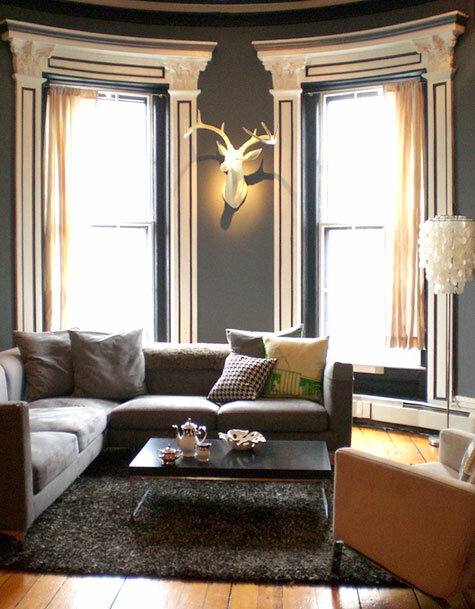 As for the antlers, I kind of like the way they mirror the shape of the chandelier. Sorry but I don't even see them as decor objects... 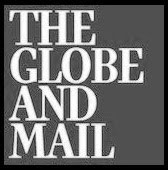 Animal heads on the walls? We can find better decorating ideas than this! The antlers are definitely not for me but I do love the pink chairs. I don't like them. I didn't like them before they were trendy in our friends lake cabins. And I don't like them now. They scream tacky to me. I don't really feel the antler thing... they are kind of tacky and only look good in like a rustic lake house or cabin. I don't believe I will ever have a use for Antlers in any of my decor. Worse even hanging the head of any animal in my home. Having said that - I have seen antler chandeliers done quite tastefully in luxury cottages. I personally never got into them and thought they were kind of over from the start . . . Deer antlers don't say chic residence to me. they say "welcome to Uncle Jack's cabin in the middle of nowhere. By the way, we don't have cable." I hate it. I don't get it at all. Know what I DO love though? Your blog. Awesome. I actually really love the second shot/room but I could never have them in my house ...unless they were fake. But really, why then? I don't mind if it's just the antlers alone but i don't like when they're attached to a deer head. Well, growing up with a European background, I'm used to seeing such things. Real mounts, such as the ones above, stuffed birds, and the like can frequently be found in many homes and castles throughout Europe. They are very traditional, actually. I'm not saying I'm for or against them. Personally, I would not opt for one in my own home, but that's just my taste. Thanks for weighing in everyone! I always enjoy hearing different takes and perspectives on a trend. I have always been surrounded by antlers growing up in Austria. My uncle was a forest ranger and my cousin took over the profession. So for many of us in Austria it has never been a trend, just part of every day life and decor. I have always looked at it from a cycle of life perspective. Hunting season in Austria is the time to maintain healthy herds, and the benefits are delicious game and attractive hides and antlers. Frankly, I have never been one for trends. If it works it works, and some times it doesn't. It is all about being done well. Crystal Gentilello is a San Francisco based design enthusiast, entrepreneur, and founding editor of Rue Magazine. Lovely of you to stop by! and emails make my day. © 2008 - 2010 Plush Palate, all rights reserved.